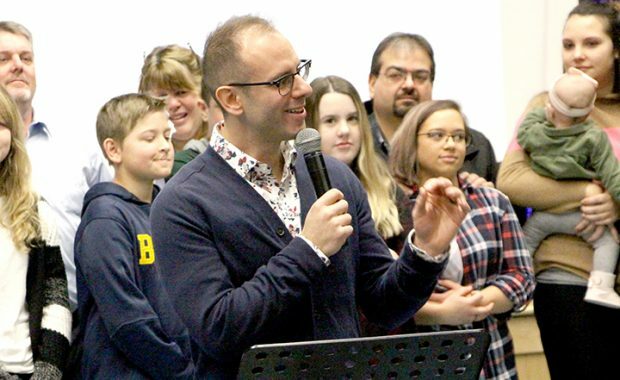 BARRY’S BAY – It was a church service full of tears on Sunday, at Madawaska Valley District High School. 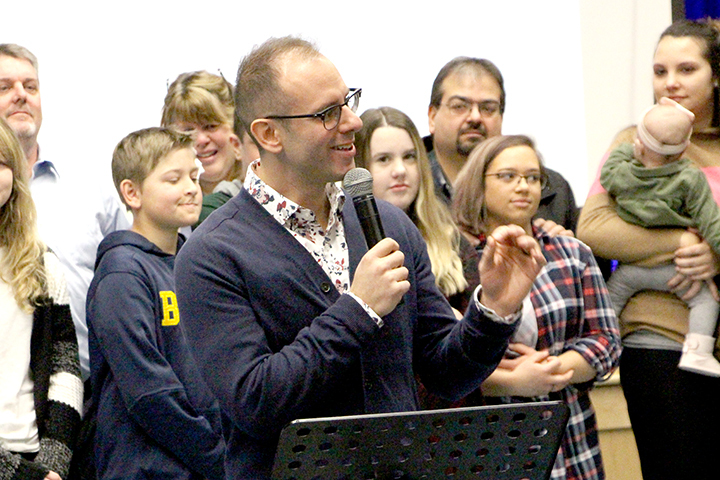 It was the last service of Pastor Richard and Tracy Lorenzin before they move on to a new church in Bowmanville. Richard was 22 when he first came to Family Life Christian Centre 14 years ago. The service gathered in the cafeteria at the school, began with 20 minutes of non-stop joyous singing led by Tracy Lorenzin, with her father, Brett Dalgleish on keyboard, Terry Mask on drums and Jason Malinowski on guitar. Richard asked to share a story from his own life. To read the full story, pick up a copy of the February 6, 2019 Valley Gazette or subscribe online.